The piece was sculpted in clay and a mold was then made from that. The relief was then cast in three mediums - cold cast Bronze, bonded Pecan wood and bonded White Marble. 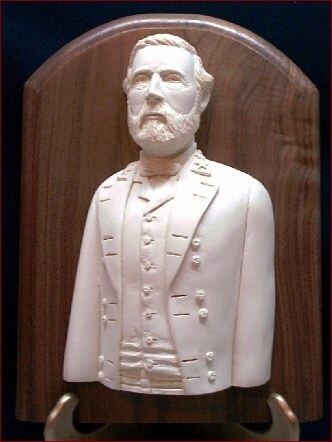 The relief of General Robert E. Lee was cast in three mediums, cold cast Bronze, pecanwood and also in White Marble.